What's in Help & Support? 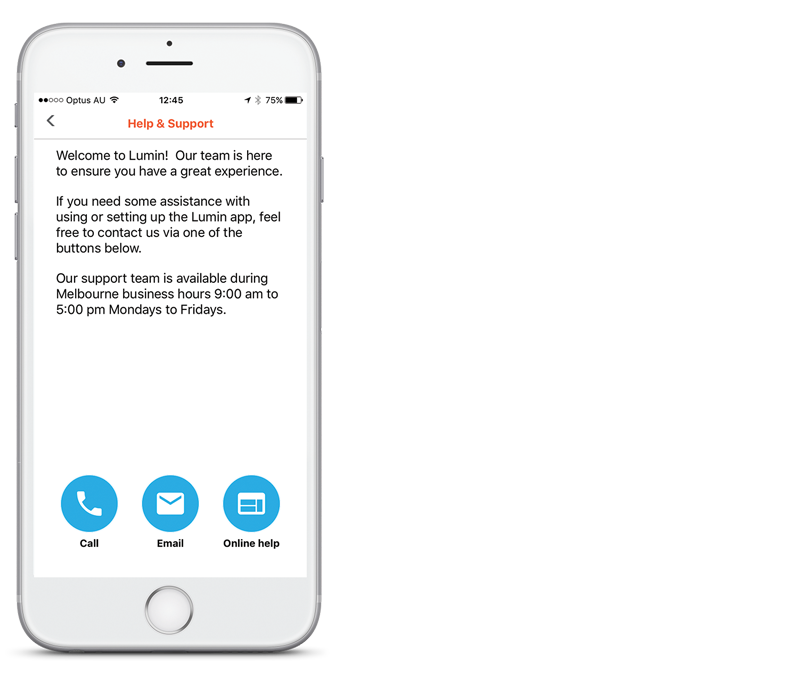 "Help and Support" contains the Lumin Support Team's one-touch call and email buttons so you can easily reach us if you are in need of some assistance. It also has the button that takes you to our Online Help Centre which contains helpful articles for Supporters like you.